Even though I’m an adult now, I still love to read YA Fantasy books. There’s a sense of play and creativity in YA Fantasy books that I think adult fantasy rarely attains. I intended to write a list of the best YA fantasy books I’ve ever read, and then I came to my senses and realized nobody wanted to read a post that long. So I’m limiting it to the best five I’ve read recently, with recently being defined as a time that is easily accessible in my memory. 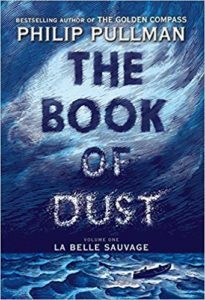 The Book of Dust by Philip Pullman – I can’t stop raving about this book. It’s the prequel to the His Dark Materials Series I read as a child. The universe is a comfortable one but the characters are new and surprising. 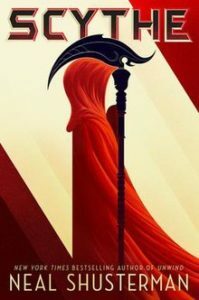 Scythe and Thunderhead by Neal Shusterman – I bought Scythe based on the cover art alone, and let me tell you, judging a book by its cover went really well in this case. The core idea is a challenging one but Shusterman handles it beautifully. I’m dying for the third book. 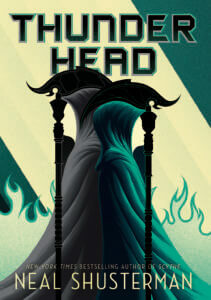 to complete the Arc of a Scythe series. 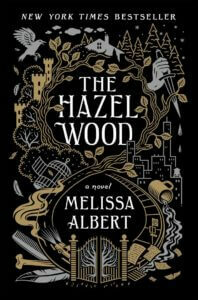 The Hazel Wood by Melissa Albert – Dark, dreamlike, a little bit scary. The Hazel Wood brings fantasy into the real world with chilling results. I’m excited for the sequel, The Night Country coming in September! 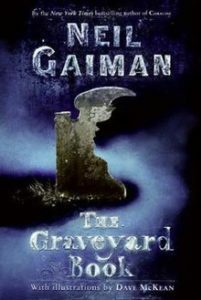 The Graveyard Book by Neil Gaiman – What if a living boy was raised by ghosts? Oh, and someone was trying to kill him? Another strange and wonderful work from the mind of Neil Gaiman. This one has been out for awhile but I find myself rereading it around Halloween every year. 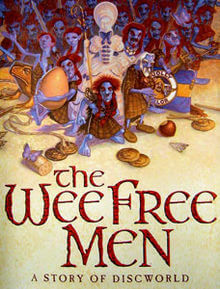 T he Tiffany Aching Series by Terry Pratchett – I will never stop reading these. Tiffany is a farm girl who wants to be a witch. Every girl who’s ever felt too weird, too smart, too different, or too much should read these books. 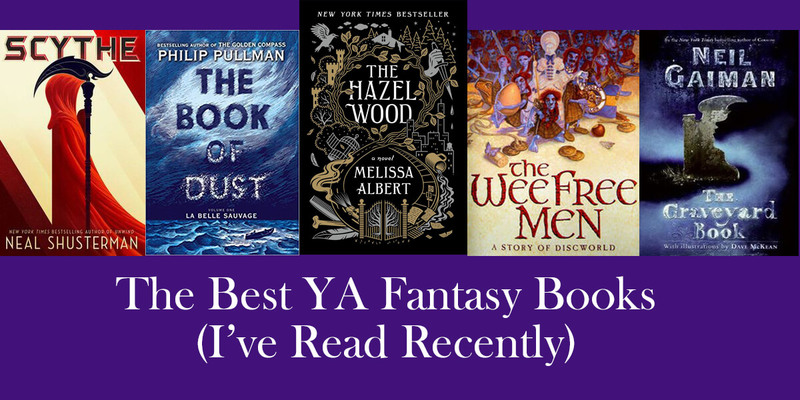 I know I’ve hardly scratched the surface when it comes to the best YA fantasy books. So tell me, What are you reading lately?